Uttarakhand Public Service Commission (UKPSC) has released advertisement for recruitment of lecturers (General & Women Branch) on direct recruitment basis. UKPSC recently announced the applications for 917 posts of lecturer which will be applied through online mode only before 10 October 2018 (Extended). 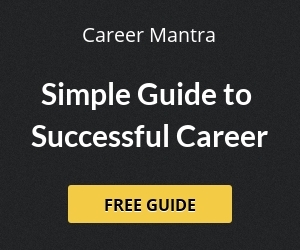 The Uttarakhand Public Service Commission or UKPSC is the state agency authorized to conduct the Civil Services Examination for entry-level appointments to the various Civil Services of state of Uttarakhand. The Uttarakhand Public Service Commission was constituted under the provisions of the Article 315 of the Constitution of India by the Governor of Uttarakhand vide Notification No. 247/1-Karmik-2001 dated 14th March, 2001. UKPSC head office located at- Haridwar, Uttarakhand- 249404. Note: Candidate will be eligible, whose name will be registered in the Employment Office in Uttarakhand state till the last date of application. Age Limit: Between 21-42 Years. Interested and Eligible candidates can apply online through the official website www.ukpsc.gov.in from 04 September to 25 September 2018. 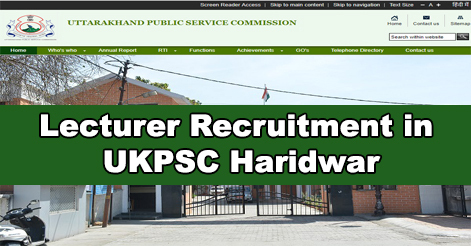 New users have to register themselves through OTR (one time registration) in the UKPSC official website and then apply for the post. Candidates who have already registered should login with their user id and password and apply for the relevant post. Candidate will be selected on the basis of their performance in Interview. In the case of obtaining a higher number of applications from the relative standard of vacancies, screening examination (Objective type) can be organized before interviewing for the exemption of candidates. Self-attested copies of certificates in support of educational qualifications, experience etc. must also be brought along with the original Documents at the time of interview. Help us to improve this article/job posting "917 Lecturer Recruitment in UKPSC". We would be glad if you can comment below and provide your valuable suggestions and feedback. If this page have any wrong information/list or out of context content, then you can report us as well. Any teacher already in service as teacher will be eligible for age relaxation being departmental candidate and if so up to which age. Candidate of haryana can apply for the post of Hindi lecture. Candidate not registered in employment office of uttarakhand . This year I gave my b.ed 2nd year exams but result is due , can I fill for this recruitment? SET qualify without b.ed can apply? Have cleared B.Ed from Haryana now I married here in Uttarakhand so can I also apply for this vacancy .and domicile is required for this form . Hello I have done my post graduate in zoology.But i have no B.ed degree.Can I apply for the post of biology lecturer?? Womenbranch and General branch me differences Kya he ? Which branch should I use to fill the form? Women branch and General branch me differences kya he?which branch should I use to fill the form,? I am a B.Ed and doing my M. A. in English. It’s my final year so can I also fill this form. Sir are other state students eligible for this post? kya dusre state wale is form ko fill nhi kar sakte? plz tell me other state candidates can apply for these posts. I am a B.Ed and doing my M.Sc in physics but result not yet declared. So am i legible for this. I had cleared M.a in history but not b.ed. May I apply? My Date of birth is 1-12-1975 .can I apply? of mathematics lecturer. what percentage in PG and graduation is required. Grade pay of following post. I want to know that actual starting salary of lecturer post. I am from west Bengal. I can apply for lectures vacant, I complete the pg ,be d & ugc NET, please reply. I m from himachal Pradesh. Can I apply for the post of lecturer in physics? Can resident of himachal Pradesh apply? What is the Relaxation in age for ladies in all categories? Plz tell me. Sir, I’ve completed my m.sc. in applied microbiology and biotechnology and I’ve B.Ed degree also. Can I apply the post for biology lecture? Please suggest me. I have done p.g in Hindi ,Sanskrit and education. but not B.ed may I apply ? I have done my pg in biotechnology ,can I apply for post of biology lecturer,Candidate not registered in employment office of uttarakhand , can I apply or not please inform me.. I am from Bihar and completed my B.ED from Haryana. Can i fill application for Lecturer Recruitment in UKPSC? Is it possible for students from other states to fill form for Lecturer Recruitment in UKPSC and register at employment exchange in Uttrakhand? I am unable to apply for UKPSC. while submitting my application a pop window is generating telling that an employed candidate from Uttrakhand can only apply. Is candidate from other state are not allowed to apply for UKPSC? For biology lecturer,post graduation in zoology can apply or it’s only for botany?please reply as soon as possible. Thanks in advance. I have filled the form,but unable to submit the required fee. Please help. sir due to server meri fees summit nahi ho payi h .muje ek chance diya jaye. Maine lecturer (maths) me apply kiya h pr abi tk koi call ya masage nhi kya h .
Pls tell me ki kab tk procedure start hoga? Sir how much percentage do I need to qualify ukpsc lecturer group c? I have passed CTET exam…I want to lecturer job in uttarakhand. I have passed TET exam .I want to L.T lecturer job in uttarakhand.